Q1. Can Deep Learning be already used in the Enterprise? If, yes, for what? Michael Zeller: Absolutely! Over the past few years, Deep Learning has captured the imagination of data scientists and outperformed other algorithms for various applications. It is now starting to become an essential tool for many enterprise applications, e.g., in the context of image recognition. Think about all the tasks that require visual inspection for quality control in manufacturing. In addition, image-based diagnostics is a very promising area in the healthcare industry and will likely revolutionize decision support tools for doctors. We also see the financial industry applying Deep Learning to fraud detection and risk scoring although today it is still dominated by more classical “shallow” neural networks and statistical algorithms. Q2. If you are not a data scientist can you still use a neural network? Michael Zeller: We are on a path towards more automated machine learning tools, but we are not quite there, yet. It certainly helps to understand the underlying algorithms, their strengths and their weaknesses, to avoid pitfalls in using them. Especially as organizations rely more and more on neural networks for automated decisions – for example in equity trading or credit approval – rigorous testing has to be an essential task prior to any production deployment of such solutions. Many technical users, analysts or engineers, might be able to use a pre-built neural network model, perhaps re-train the network with new data, assuming they are careful to assess the quality correctness of its predictions. Many of the deep learning tools now publish pre-trained reference models in a so called “model zoo” which makes it much, much easier to get started. Data scientists and other developers can then apply new data to retrain these models or rely on transfer learning to solve a related problem. In the end, the answer to the question “do you have to be a data scientist” will strongly depend on the complexity of the solution, subtleties of the data, and many other factors. Q3. How can Artificial Intelligence be used for building smarter, next-generation IoT applications? Michael Zeller: The Internet generated data mostly about people – click streams on web pages, purchase patterns and user behavior. Now the Internet of Things (IoT) produces even more data by allowing us to sense and collect data about almost any asset we can think of – machines, buildings, cars, bicycles, etc. However, in order to turn all that sensor data into actual business value, we need to do something with it – we need to implement smarter, automate, data-driven decisions – and AI is the tool to exactly do that. Predictive maintenance is one of the key business use cases for IoT. Rather than waiting for a device to break and then fix it, we rely on AI models to predict maintenance issues in advance based on sensor data. This helps avoid downtime and allows organizations to schedule maintenance at the right time which has the potential to vastly improve efficiency and reduce cost. Ultimately, the success of smarter, next-generation IoT applications hinges on collaboration and co-innovation. A great example for that in the Industrial Internet o Things (IIoT) is ADAMOS, a strategic alliance of leading industrial and software companies which aims to bring together the most up-to-date IT technology and industry knowledge. Q4. What needs to happen for AI to deliver its full potential rather than fading once the current hype subsides? Michael Zeller: To move beyond the hype, we need to transition from Artificial towards Applied Intelligence and focus on delivering outcomes which create business value. More concretely, it means to take data science projects which are often done in isolated IT sandbox environments and move them into the organization’s enterprise IT framework. Only then, AI can deliver smarter decisions in concert with existing processes and applications. AI can’t operate in isolation, but it must be well-integrated and work hand-in-hand with established processes and solutions. In simple terms, AI needs rapid operational deployment and easy integration through an open, standards-based platform. That will lower cost, reduce complexity and allow more organizations to leverage AI’s potential. Q5. What is the road map ahead for Software AG’s innovation in Artificial Intelligence? Michael Zeller: The roadmap for Software AG’s AI capabilities is driven by our customer’s desire to make AI easier to use and easier to integrate across the entire organization. Not only are we expanding the Zementis product line, we are also investing into data science consulting services to help our clients during their journey – from first steps in AI model development to real-time, mission-critical operational deployments. All our AI capabilities, of course, leverage Software AG’s core strengths in enterprise IT and our open Digital Business Platform strategy. Michael leads Software AG’s innovation in artificial intelligence. His vision is to help organizations deepen and accelerate insights from big data through the power of machine learning. Previously he was CEO and Co-Founder of Zementis, a leading provider of software solutions for predictive analytics. 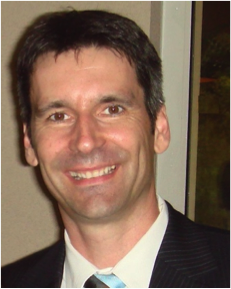 Michael also serves on the Board of Directors of Tech San Diego and as Secretary/Treasurer on the Executive Committee of ACM SIGKDD, the premier international organization for data science.